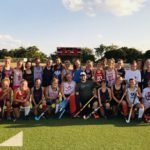 Lone Star Field Hockey’s Fall Program is available to U10, U12, U14, U16 and U19 girls and boys (Grades 2 – 12) in both Austin & Dallas. 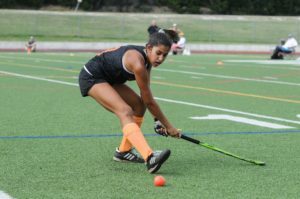 To players interested in playing more competitive Travel Team Field Hockey and who aspire to play field hockey in College. Most importantly we will be working on synthetic surface skills (on Turf at West Ridge Middle School in Austin & Episcopal School Dallas) as this is the cornerstone of the modern game. AstroTurf has made the game much faster and more skills-based and historically Austin & Dallas players have been at a disadvantage due to lack of access to this playing surface. 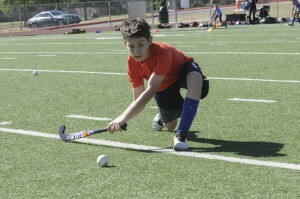 Practice groups will be organized based on skill / age level following our Coaching Methodology e.g. for the younger ages and beginner players we will focus on the more basic skills, like the basics of passing and shooting the ball, for the older or more experienced players we will work on more advanced skills like reverse shots, reverse sweeping, aerial passes, jab tackling etc. 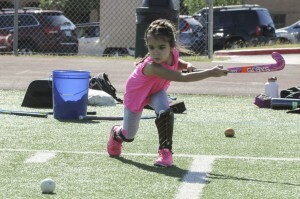 The 2018 Fall Program runs from August 25th to November 4th with weekly training sessions taking place on Sunday mornings in Austin, and Saturdays mornings in Dallas ensuring there is no conflict with school practices and games. Fall Practice Schedule. The cost of the Fall Program is $150 for Grades 2 – 5 (8 weeks) and $250 for Grades 6-12 (10 weeks). Players from Austin & Dallas are welcome to attend extra or make-up practices in either location at no additional cost. In Fall 2018, Lone Star Austin will once again participate in the Central Texas Middle School League for grades 6 – 8, with games played against the two middle school teams in Austin (St. Stephen’s and St. Andrews) and San Antonio’s St. Mary’s Hall. Kids who do not attend these schools will be able to play on our club team and participate in additional mid-week practices and 6 league games over the 10 week season. Players must have played at least one season with Lone Star (or other club/school) to be eligible to play on the Lone Star Middle School Team. The cost to participate in our Fall Program Practices and play on the Middle School team is $300. Lastly, we will offer Tournament Play opportunities for those interested. Lone Star plans to participate in the Texas Pride Columbus Day Tournament on Monday Oct 8 and will host it’s annual Fall Tournament in Austin on Sunday November 4th. Our U14, U16 & U19 Travel teams will also participate in the National Hockey Festival in Florida in November.